You may feel like you've entered a luxury bedroom any time you see the Grand Dresser from Modloft. This exquisitely designed dresser boasts six spacious drawers and offers plenty of additional space on top of the espresso oiled veneer surface. Plus, the dresser includes angled copper legs allow the dresser to float almost effortlessly. When it comes to finding a stunning, elegant dresser for your bedroom, the Grand Dresser delivers a superb choice. 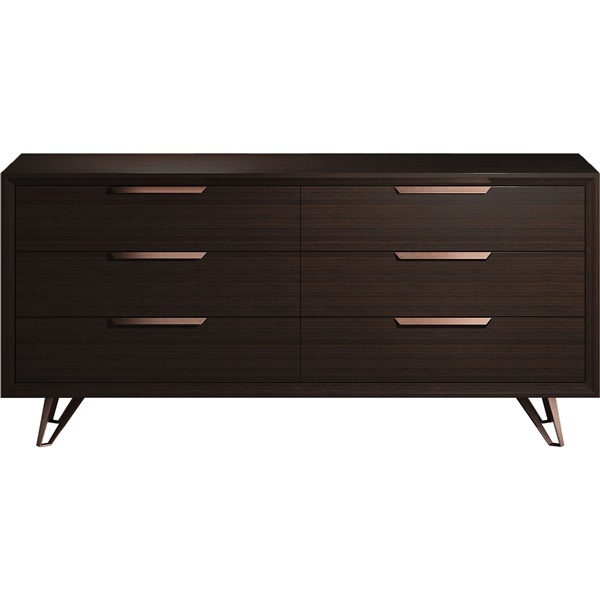 Includes angled copper legs that allow the dresser to float almost effortlessly. Anodized copper drawer pulls and fully extending, soft-closing actions ensure you'll be able to open and close the dresser's drawers silently and easily. 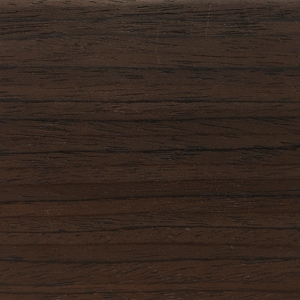 Boasts an espresso oiled veneer surface that sparkles. Features six spacious drawers, offering ample storage space.